Last spring we planted an asparagus bed, and it has really taken off. At first we only saw small tips peeping up from the soil, then they shot up to tall spears almost overnight. Now the wispy fern sways in the breeze on long thin stems and will stay around for the summer. Asparagus needs two years growing time before harvesting, so we are still a year away from gathering those tender spears from the garden, something I think about every time I inspect the asparagus bed. Gardening definitely teaches me patience. In the meantime, we have to buy asparagus to satisfy our cravings. 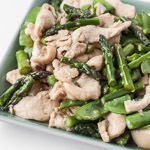 I adapted this asparagus recipe from Cooking Light, and it was a hit with my family. The red onions and almonds are sautéed for just a few minutes in olive oil, then the orange juice and honey go in with the raisins, which plump as they absorb the liquid. The flavor payoff is big for just a small amount of work, and it’s easy enough for a weeknight and elegant enough for guests. I changed up the original recipe and used slivered almonds instead of pine nuts, added a little extra orange juice, and used orange blossom honey. Now I have to wait a year before I can make this with our homegrown asparagus, but it will be worth the wait. Pour about 1 inch of water into the large pan or pot, insert the steamer basket, and bring to a boil. 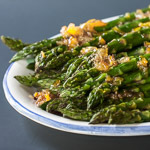 Steam the asparagus until crisp-tender, about 2 minutes. Remove from heat and keep warm. In the skillet, warm the olive oil over medium heat. Sauté the onion and almonds until warm and glistening, about 4 minutes. Add the orange juice, raisins, honey, salt, and pepper. Cook until the raisins plump and soften, about 2 minutes. Spoon over the asparagus and serve. Use very fresh pencil-thin asparagus for best results. Growing Asparagus at home! I do need to do that. This year we are trying so hard to keep the bunnies away and they still manage to sneak in through the fence. Ate my corn 5 times and they are resilient enough to sprout back again and again, but not so the other plants. 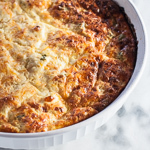 I love every ingredient in this recipe. Thanks for the link back. really appreciate. I’m so envious of your asparagus patch! I’ve always wanted to plant one, but realized it was more work than I had time for, and the season here in New England is quite short. I saw those asparagus stalks first-hand! And they were so lovely, A. I just love your gorgeous backyard and all the love you put into it. 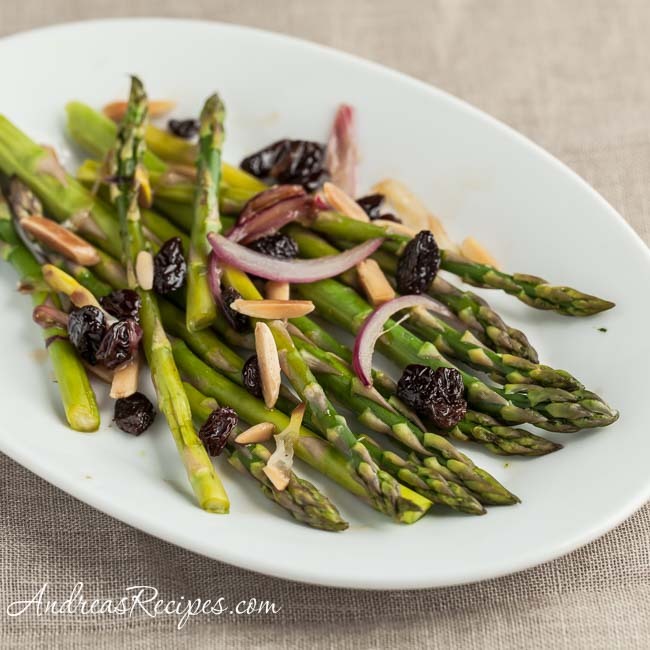 I’ve never had asparagus with raisins before but I’m willing to give it a try!